Tomorrow, my quest for 25 championships may become fulfilled. I may also not win any of my games, but I am trying not to think about it too much. The less time I have to analyze the games the better off I am. That is why I am going to make a blog entry about tomorrow, go back to watching the NHL Playoffs, and then get some sleep tonight. Malys will be playing the first game against a team we have had very good fortune against, Main Street Pub. I have played great against them to boot. I think the teams I have played for have eliminated that team the last 3 seasons running. Either way, its a winnable game. We can concentrate on other games as they come. Marketlab earned a 1st round bye and will play the higher seeded team in the 2nd round. This division has been the most competitive I have ever seen it. Any team can win any game. The one thing I am happy about is that everyone on my team will be there tomorrow. Lastly, Stick Heads will be playing the first place Grand Valley team who has scored almost 100 goals in 10 games. I am going to have to play the best game of my life in order to beat them. 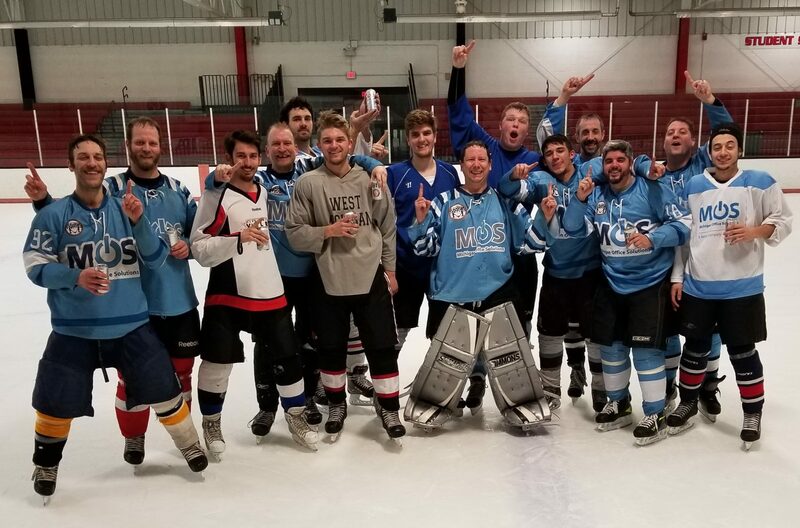 Either way, after the hockey is played and the trophies are handed out, I will be going out with everyone from the rink. I especially love the outing afterwards. The only thing I can complain about right now is a small lingering pain in my left ankle. I got dumped pretty hard by a player on Red Army last night in our clutch victory. I will be taking ibuprofen tomorrow and I am resting it tonight.